When do I renew my DACA, and how do I do it? | Minsky, McCormick & Hallagan, P.C. HomeBlogDeferred ActionWhen do I renew my DACA, and how do I do it? When do I renew my DACA, and how do I do it? In August 2012, U.S. Citizenship and Immigration Services (USCIS) began accepting applications for Deferred Action for Childhood Arrivals (DACA). The DACA program allows certain eligible undocumented immigrants a temporary two-year relief from deportation and the ability to receive work authorization. Individuals can apply for DACA through both USCIS and Immigration and Customs Enforcement (ICE). For questions on what DACA is and whether you are eligible to apply, click here. As DACA approvals and the corresponding work authorization are only valid for two years, the renewal period is fast approaching for those who applied and were accepted at the beginning of the program. Due to the fact that the program is new, many are confused and uncertain how to proceed with the renewal process. Fortunately, USCIS recently released two new guidance documents relating to DACA renewals. The first piece of USCIS guidance relates only to those who were granted DACA by Immigrations and Customs Enforcement (ICE) when they were in ICE custody (immigration detention); as such, it only applies to a relatively few number of people. The vast majority of DACA approvals came from USCIS starting in August 2012 and after. If you were one of those individuals, you will be eligible to start applying for renewal in late May 2014 and USCIS’s latest guidance, which is discussed below, applies to you. What do I need to know about renewing my DACA and employment authorization? Is the renewal period open now? The renewal period is only open to ICE-granted DACA applications. The DACA renewal registration period is not open to USCIS-granted DACA applications. USCIS estimates it will begin accepting renewal applications at the end of May 2014. How do I know when my DACA and work authorization expire? The expiration date is printed on the front of the employment authorization document or EAD, Form I-766. What form do I use? USCIS will require forms I-765, I-765W, and an updated form I-821D. USCIS has not yet released the updated form I-821D but estimates it will release this new form in late May 2014. The new form will be dual-use, for both renewal and initial applications. 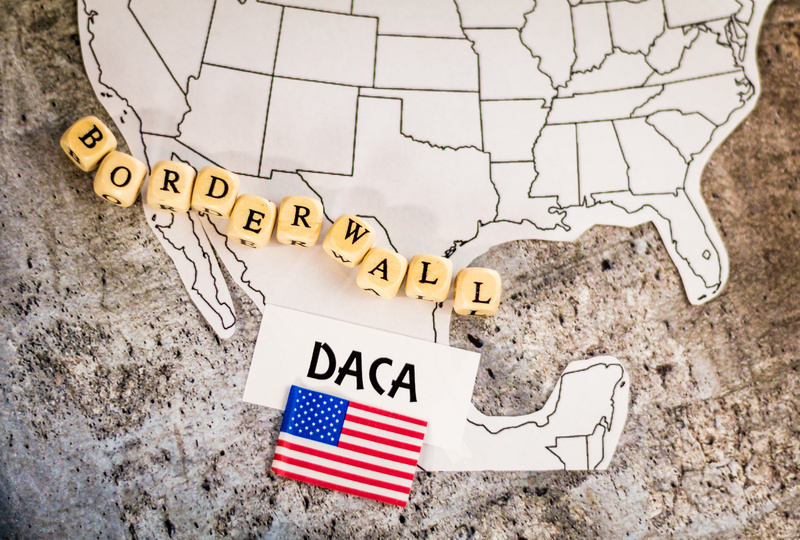 (Note, if you have not yet applied for the initial DACA and work authorization, you may continue to do so using the current form I-821D until the new form is issued). When do I submit my application? Once the renewal period is open, submit your DACA renewal request package at least 120 days (or 4 months) before your current period of DACA/work authorization expires. The earliest you can file is 150 days (or 5 months) before the expiration of your current period of DACA/work authorization. With DACA renewals, the saying that the early bird gets the worm rings true as there is a benefit to filing before the 120 day mark. For DACA renewals submitted prior to the 120 day mark, USCIS has said that it may grant temporary work authorization until the application is approved if the renewal is still pending when the original DACA/work authorization expires. For those who submit their renewal less than four months before the expiration date, this may not be an option. What supporting documents will I need to submit? In its latest guidance, USCIS has said that renewal applicants need only submit new documents pertaining to removal proceedings or criminal history that were not already submitted to USCIS. However, USCIS previously discussed the possibility of requiring updated information relating to education, such as status as a high school graduate, or the completion of a GED class. You should check with an attorney as well as updated USCIS guidance once the renewal period opens to determine exactly what documents you will need to submit. What are the filing fees? USCIS has not specified the filing fees for renewing DACA, but they will likely be the same as the initial application, a total of $465 ($380 for the employment authorization application and $85 for fingerprints). Please continue to check www.uscis.gov for more information on the procedures and other information related to renewing your DACA. Whether you’d like help with your renewal application, assistance filing an initial application, or just have questions, feel free to contact us at 312-427-6163 or via our website. DACA can be complicated, and we’re here to help.